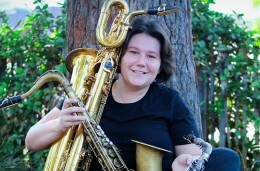 Jamie Oehlers is one of Australia’s leading saxophonists. He has won multiple awards both in Australia and overseas including four Australian Jazz “Bell” Awards, an ABC Limelight Award for Best CD Release, a West Australian Music Industry Award for International Achievement, a James Morrison Scholarship, and in 2003 was the winner of the World Saxophone Competition at the Montreux Jazz Festival in Switzerland. He has performed throughout the world, collaborated with many great jazz artists, and currently leads groups Blowfish, the Jamie Oehlers Quartet, Memory of Elements, and Lost and Found. 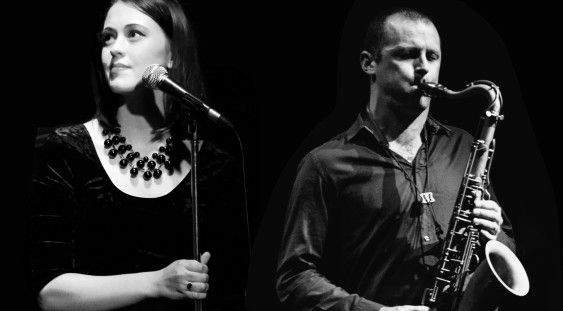 Tonight his quartet features emerging vocal talent Holli Scott for a collection of original music and quirky arrangements of some of your favourite pop songs and jazz standards. 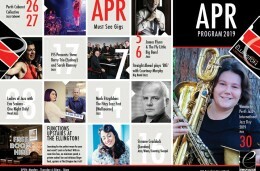 Holli Scott an emerging jazz vocalist and composer quickly establishing herself in the Australian music scene. She draws inspiration from and is influenced by artists such as Billie Holiday, Cassandra Wilson, and Nina Simone, and produces a deep, rich, soulful tone that has been described as somewhat unexpected from such a fresh young face. Holli was selected as one of six vocal finalists Australia-wide for the James Morrison Generations in Jazz Scholarship in 2014, graduated from the Western Australian Academy of Performing Arts’ Honours Program in 2015, and is currently based in Perth where she is renowned for her capturing presence and unique intensity on stage.